Visiting a bowling alley is a great way to enjoy greasy food and stiff drinks with your friends or family. Some places have a fun vintage feel, while others resemble a fancy nightclub with modern gaming. Here are some of the most awesome bowling alleys in Indianapolis. Woodland Bowling Center has 70 lanes of great bowling, and it’s a non-smoking center with automatic scoring. 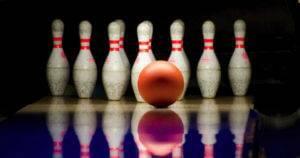 On-site catering, lounges, and meeting places are available, and bowling leagues welcome new members all year. Some leagues are competitive, and others are more about hanging out and just having fun. You can also try Pirate’s Quest Laser Tag at Woodland Bowling. It has beautiful 3-D and black light murals, fun music, and 36 gun packs. A game is just $8, and you can play unlimited games for $6 on Monday through Thursday from 5 to 10 p.m. Birthday parties for up to eight guests are available, and they include Fun Treat passes, a $5 arcade game card for every child, and a souvenir birthday bowling pin for the guest of honor. Pirate’s Quest Miniature Golf is also available, and free VIP membership is a great way to get discounts. Woodland Bowling Center is open from 8:30 a.m. to 11 p.m.
Action & Atomic Duckpin Bowling opened in 1928, and it’s one of the only authentic duckpin bowling alleys in the Midwest. There are seven lanes downstairs that still have original equipment from the 1950s and 1960s. Upstairs, there are eight vintage lanes and a pool table from 1918. Duckpin bowling uses a smaller ball and smaller pins than regular bowling, so it’s a unique challenge even for experienced bowlers. Walk-ins are welcome, but a reservation is recommended. Bowling is $40 per hour, per lane, and lots of great food is available. Hindel Bowling Lanes is a family owned and operated business that’s been open since 1957. It has a bar and lounge, a pro shop, a game room, and many leagues for bowlers. The pro shop has bowling balls, bowling shoes, and other accessories, and the manager is a member of the Indianapolis Bowling Hall of Fame. However, it’s closed on Sundays. The game room is full of old favorites, and Hindel Bowling Lanes is a great place for birthdays or office parties. Seniors always get a discount, and families can save on Wednesday and Thursday. All Star Bowl offers unlimited bowling Mondays and Thursdays from 9 to 11 p.m. for just $5 per person and $2.99 shoe rental. Parties range from $119.99 to $139.99, and they include snacks or a meal, two lanes, and shoe rental for up to 10 people. On Saturday nights, there’s a $15 per person cover charge. You’ll need an easy, comfortable way to get to these fun places and have fun with friends, family, or coworkers. Eastgate Chrysler Jeep Dodge Ram has a skilled, courteous sales staff that can help you find a great new or used vehicle. We also offer leases and financing. Explore our website or visit us for a test drive and more information.